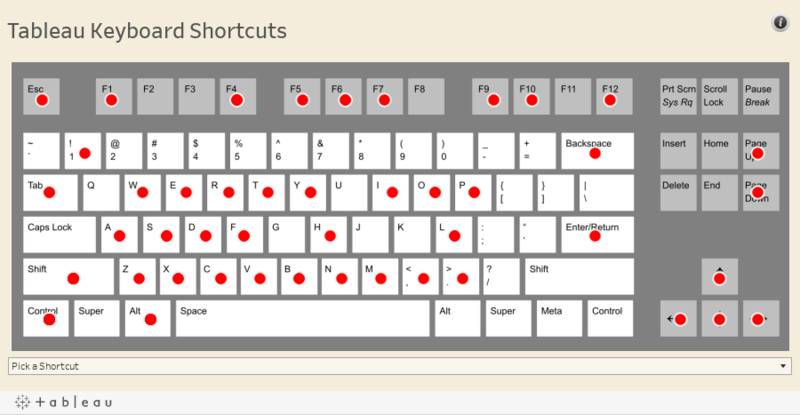 I hope they help you memorize these shortcuts. Some of them are really useful. It can save you a few seconds of time and make viz-design a little smoother. My favorite is Ctrl-Drag which duplicates those pills effortlessly. If you have a favorite shortcut, feel free to share with us by leaving a comment. For more tips, tricks, and vizzes by Alex, check out his blog and his Tableau Public profile page. You can also connect with him on Twitter @aleksoft. The shortcut I miss the most is "Copy as image", would love to have it in future versions of the software! It is awesome guidelines about keyboard shortcuts. Your post is really helpful for peoples who start to change keyboards layout.